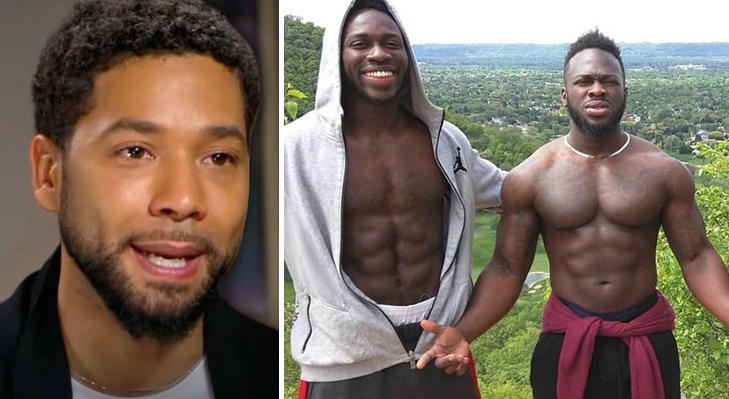 A last minute FOIA records request in the Jussie Smollett hate-hoax investigation was fulfilled by the Chicago Police Department on Wednesday - shortly before the case was sealed by a Cook County judge. "The Chicago Police Department is not happy. Our Superintendent expressed his displeasure about the charges being dropped," one CPD officer told Fox News. "The Department exhausted manpower and numerous hours investigating this case to make sure it was handled properly." "The police department worked super hard on this. They put a ton of manpower on it because they knew it sounded wrong from the beginning," another Chicago law enforcement source told Fox. "What’s interesting is that the former chief-of-staff of Michelle Obama called the state's attorney about the case, saying the (Smollett) family was concerned. Shortly after, the state's attorney recused herself and now the charges are dropped and the court has sealed the record." Except - they didn't seal the record fast enough, as CPD responded to a Freedom of Information Act request by CWB Chicago and other outlets - delivering investigative files on Smollett. While the details are compelling, perhaps the most damning statement is found at the beginning of the report, which states "Investigation revealed that a plan was formulated and put into play by SMOLLETT to conduct a staged incident where SMOLLETT was beaten by [redacted] and [redacted] posing as persons other than themselves. The Redacted names are undoubtedly the Osundario brothers - who claim Smollett paid them $3,500 to stage the attack. Ok best part of the Jussie report is that the Nigerian brothers got stuck in the parking lot after purchasing their hate crime starter kit and one had to get out to push. 🤣@CWBChicago thank you for this entertainment. ....Reporting officer says that Smollett was never handcuffed, placed in a cell, or "subjected to the media" while in the officer's presence. Sheriffs were all prepped for the Smollett case to go before Judge Martin today, and then were told it wasn't happening.